Gazing out over Cape Town from Table Mountain, the panorama alone is worth the trip to Southern Africa. 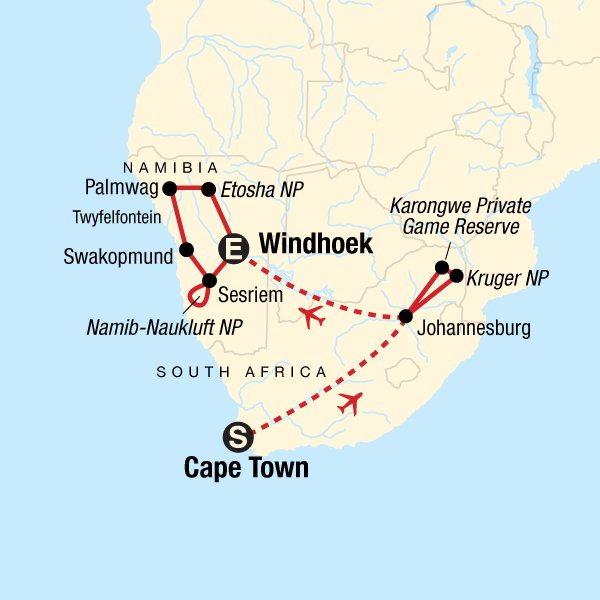 Then again, this epic 19-day adventure to South Africa and Namibia is filled with rewards for travellers. Marvel at the Cape Floral Kingdom on stunning display at the Kirstenbosch National Botanical Garden, watch for the "big five" in Kruger National Park, and climb dunes in the sweeping deserts of Namibia. Along the way, the views just may change your outlook. Your Journeys Highlight Moment: Kirstenbosch Botanical Gardens Guided Tour, Cape Town Your Journeys Highlight Moment: Carnivore Conservation Experience, Karongwe Private Game Reserve Your Journeys Highlight Moment: Mondesa Township Walk, Swakopmund Your Journeys Highlight Moment: Cheetah Conservation Experience, Windhoek Your Foodie Moment: Traditional South Africa Braai (Barbecue), Johannesburg. Arrival transfer. Orientation drive of Cape Town. Excursion to Cape Point and Boulders Beach. Traditional South African braai (BBQ). Panorama Route scenic drive. 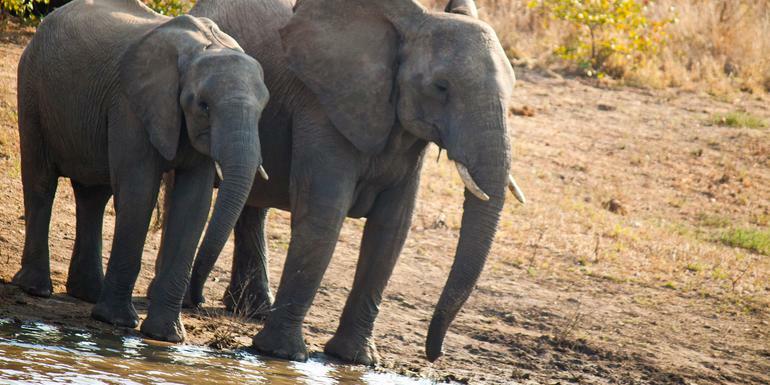 Kruger National Park and private nature reserve wildlife safari drives in open vehicles. Sossusvlei desert excursion. Desert excursion with a local. View the Twyfelfontein ancient petroglyphs. Two open-vehicle wildlife safari drives in Etosha. Internal flights. All transport between destinations and to/from included activities.